Atrial fibrillation (AF) is the most common clinical arrhythmia and is associated with increased morbidity and mortality. There is growing evidence that numerous cardiovascular diseases and risk factors are associated with incident AF and that lone AF is rare. Beyond oral anticoagulant therapy, rate and rhythm control, therapy targeting risk factors and underlying conditions is an emerging AF management strategy that warrants better implementation in clinical practice. This review describes current evidence regarding the association between known modifiable risk factors and underlying conditions and the development and progression of AF. It discusses evidence for the early management of underlying conditions to improve AF outcomes. It also provides perspective on the implementation of tailored AF management in daily clinical practice. Arrhythmia & Electrophysiology Review 2018;7(2):118–27. Netherlands Cardiovascular Research Initiative: an initiative with support of the Dutch Heart Foundation, CVON 2014-9: Reappraisal of Atrial fibrillation: interaction between hyperCoagulability, Electrical remodeling, and Vascular destabilisation in the progression of AF (RACE V). Beyond age, HF is the most important risk factor for incident AF, increasing the risk by two- to threefold.9,31,57,63–67 Despite this, HF only accounts for a modest proportion of the population-attributable risk of incident AF and has decreased over recent decades, as demonstrated by data from the Framingham Heart Study.7,54,58 These reductions could be ascribed to improvements in HF therapy. CAD is an established risk factor for incident AF. Data from the Framingham Heart Study demonstrated that a history of MI was significantly associated with incident AF in men (OR 1.4), but not women.57 A later analysis from this study found a significant association when adjusting for age and gender.65 Krahn et al. found a 3.6-fold increase in the relative risk of AF after MI.9 Previous MI was also a predictor of incident AF in elderly patients (mean age 75 years; HR 2.2),63 which was confirmed by the ARIC study66 and in a combined analysis from the ARIC and Cardiovascular Health Studies.64 The PREVEND study also found a significant association between previous MI and stroke and incident AF, with incidence rates of AF comparable to those described in several of the studies mentioned above, although these studies recruited patients much earlier than PREVEND and the treatment of patients with MI and stroke has markedly improved over time. However, incident AF was associated with an increased risk of all forms of vascular disease, HF and death.46 According to data from the Framingham Heart Study, the population-attributable risk of MI remained unchanged over 5 decades despite substantial improvements in the treatment of MI during this time.7 Weijs et al. found a surprisingly high proportion of patients with subclinical CAD in a relatively young (mean age 55 years) cohort of patients with an original diagnosis of lone AF compared to matched controls with sinus rhythm.72 Some of these patients had already developed advanced CAD. Taking into account that patients with AF and vascular disease are at increased risk of fatal and non-fatal cardiovascular events, it seems prudent to screen patients with AF for vascular diseases because treatment in an early stage could reduce AF and improve their prognosis.73 Hypercoagulability may also lead to fibroblast activation, cellular hypertrophy and fibrosis; in this way it may be involved in the creation of a substrate for AF.29,52,74 The contribution of hypercoagulability to the progression of AF is currently being investigated in the RACE V study (ClinicalTrials.gov, NCT03124576). The evidence that obesity is an independent risk factor for incident AF has grown in recent years. Data from the ARIC study showed that overweight and obesity (BMI ≥25 kg/m2) accounted for about 18 % of incident AF, making obesity the second strongest risk factor for AF.54 Comparable results were found in the WHI observational study, where these conditions accounted for 12 % of the population-attributable risk.58 Interestingly, obesity is not only a risk factor for incident AF in postmenopausal women but also in young and essentially healthy women.75 Data from the Framingham Heart Study demonstrated a 4 % increase in AF risk for each unit increase in BMI. Obesity (BMI ≥30 kg/m2) was significantly associated with incident AF in men and women.76 There has been an increase in the population-attributable risk of obesity for incident AF in the past 50 years7 and numerous cohort and case-control studies have confirmed the strong and consistent association between obesity and AF.46,58,77–82 A recent meta-analysis found not only a 29 % and 19 % increase in incident AF risk for every 5 additional BMI units, respectively, but also a 10 % increase in postoperative AF and a 13 % increase in post-ablation AF.83 The PREVEND study found similar results, with an increased rate of incident AF for every 5 additional BMI units.46 Taking these results into account and the fact that overweight is associated with increased risk of fatal and non-fatal coronary heart disease outcomes, it seems prudent to implement fitness and weight reduction in AF therapy.84,85 Cardiac rehabilitation, including regular physical activity, dietary restrictions and scheduled counselling, should be part of a comprehensive targeted treatment approach. In the RACE 3 trial, this approach led to a slight reduction in BMI and weight at 1 year as well as improved sinus rhythm maintenance.26 These figures also demonstrate that a substantial improvement requires long-term patient involvement and persistent adherence to treatment. Reduced renal function is associated with increased risk of adverse cardiovascular outcomes, such as stroke and HF.107,108 It has also been associated with increased risk of stroke and systemic embolism in patients with non-valvular AF.109 The coexistence of both conditions results in a marked increase in both thromboembolic and haemorrhagic risk.110 AF and chronic kidney disease not only share risk factors such as DM, hypertension and HF;111 there is growing evidence that both diseases share underlying pathophysiological mechanisms, such as left ventricular hypertrophy, inflammation, hypercoagulability and activation of the renin–angiotensin–aldosterone system.112–116 Timely treatment of risk factors and underlying conditions could lead to improvement of both conditions and reduce adverse outcomes. Acute heavy alcohol consumption has long been known as a cause of AF and is commonly called “holiday heart” syndrome.125 Binge drinking was associated with increased risk of incident AF in an analysis of pooled data from two antihypertensive drug treatment trials.126 Several prospective cohort studies have also looked at the association between chronic alcohol consumption and incident AF. However, the issue with such studies is that, in contrast to other risk factors for AF that can be objectively measured, the quantities of alcohol intake are usually self-reported by the enrolled individuals. Data from the Framingham Heart Study suggested that heavy alcohol consumption of >36 g/day (>3 drinks/day) was associated with a significantly increased risk of incident AF, but also showed that heavy alcohol consumption has decreased over time.7,127 Similar results were reported from the Copenhagen City Heart Study.128 Women who consumed ≥2 drinks/day also had an increased risk of AF, as shown in an analysis from the Women’s Health Study.129 More recently, data form a prospective Swedish cohort study demonstrated that consumption of even small quantities of alcohol was associated with increased risk of AF.130 Furthermore, two meta-analyses showed a linear dose–response relationship between alcohol intake and risk of AF, with a significant 8 % increase in the relative risk of incident AF for each standard drink per day compared to no drinks a day.130,131 These results suggest that there is no safe level of chronic alcohol intake with regard to the development of AF. Numerous cohort studies have investigated the association between smoking and incident AF. Some of them found an increase in risk – ranging from 32 % to more than a doubling in current smokers and 32–49 % in former smokers9,54,132–135 – while other studies did not.77,136–139 An analysis from the ARIC study showed that current smoking accounted for about 10 % of incident AF.54 Moreover, there might also be a dose–response relationship, in that current smokers with the longest duration of smoking and those with the highest number of cigarettes per day had the highest risk of AF.132,133 Generally, smoking cessation is recommended, but data on AF prevention are lacking. In the CARDIOrespiratory FITness on Arrhythmia Recurrence in Obese Individuals With Atrial Fibrillation (CARDIO-FIT) study, risk factor management and a comprehensive exercise programme led to the greatest reduction in AF recurrence in individuals who had the highest CRF at baseline, and those with the greatest CRF gain and weight loss, suggesting an additional benefit of CRF on top of weight loss.167 Overall, the findings of CARDIO-FIT suggest that fitness might be even more important than weight loss. It is important to recognise that all Australian studies used an aggressive risk-factor management approach in very motivated patients, which might be difficult to apply in daily clinical practice (Table 2). There is a lack of prospective randomised trials investigating the effect of comprehensive risk-factor management in patients with AF. The RACE 3 trial investigated whether targeted therapy of underlying conditions on top of causal treatment of AF and HF and rhythm control therapy was superior for the prevention of AF in patients with HF compared to causal treatment of AF and HF and rhythm control alone.26 The primary endpoint was sinus rhythm on 7-day Holter monitoring at 12 months. Inclusion criteria were a history of HF <12 months and early symptomatic persistent AF of <6 months duration, not more than one direct current cardioversion, and history of AF <5 years. Targeted therapy included treatment with MRA, statins and ACE inhibitors or ARBs as well as cardiac rehabilitation including supervised physical training two to three times a week, dietary restrictions and counselling.53 At 12 months, significantly more patients in the targeted therapy group had sinus rhythm compared to conventional therapy alone. Moreover, targeted therapy of the underlying conditions led to significantly more successful modification of BP, N-terminal pro-brain natriuretic peptide, weight, BMI and lipid profile. Additionally, AF symptoms assessed by European Heart Rhythm Association symptom score decreased more in the targeted therapy group. 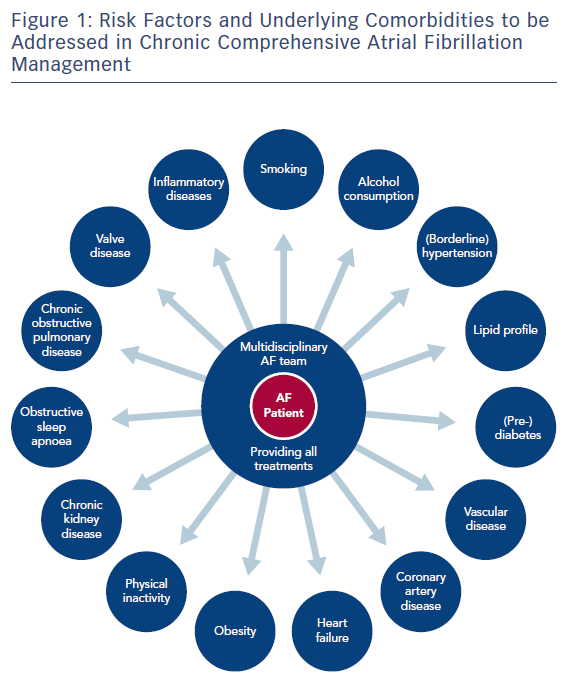 Common cardiovascular risk factors – such as hypertension, DM, obesity, OSA, physical inactivity and alcohol consumption – as well as underlying conditions like HF and CAD significantly contribute to the development of AF. 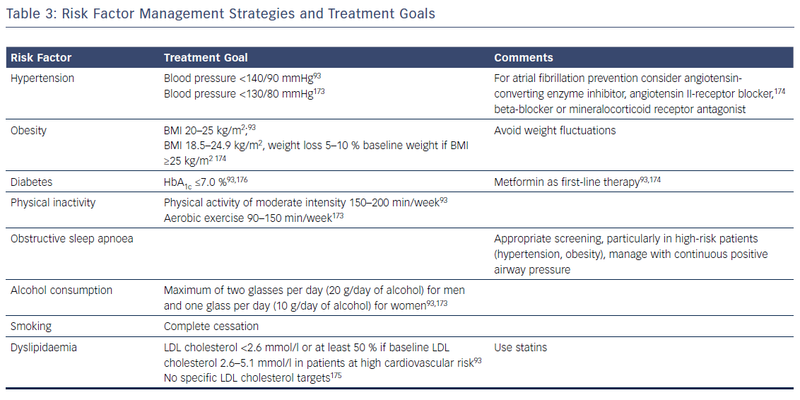 Optimal and timely management targeting these conditions is feasible, reduces AF and improves quality of life. However, it remains to be proven whether these interventions also have an impact on other outcomes, such as mortality, cerebrovascular events and cardiovascular hospitalisations. Chugh SS, Havmoeller R, Narayanan K, et al. Worldwide epidemiology of atrial fibrillation: a Global Burden of Disease 2010 Study. Circulation. 2014;129:837–47. Colilla S, Crow A, Petkun W, et al. Estimates of current and future incidence and prevalence of atrial fibrillation in the U.S. adult population. Am J Cardiol. 2013;112:1142–7. Bjorck S, Palaszewski B, Friberg L, Bergfeldt L. Atrial fibrillation, stroke risk, and warfarin therapy revisited: a population-based study. Stroke. 2013;44:3103–8. Haim M, Hoshen M, Reges O, et al. Prospective national study of the prevalence, incidence, management and outcome of a large contemporary cohort of patients with incident non-valvular atrial fibrillation. J Am Heart Assoc. 2015;4:e001486. Krijthe BP, Kunst A, Benjamin EJ, et al. Projections on the number of individuals with atrial fibrillation in the European Union, from 2000 to 2060. Eur Heart J. 2013;34:2746–51. Chao TF, Liu CJ, Chen SJ, et al. CHADS2 score and risk of new-onset atrial fibrillation: a nationwide cohort study in Taiwan. Int J Cardiol. 2013;168:1360–3. Schnabel RB, Yin X, Gona P, et al. 50 year trends in atrial fibrillation prevalence, incidence, risk factors, and mortality in the Framingham Heart Study: a cohort study. Lancet. 2015;386:154–62. Wolf PA, Abbott RD, Kannel WB. Atrial fibrillation as an independent risk factor for stroke: the Framingham Study. Stroke. 1991;22:983–8. Krahn AD, Manfreda J, Tate RB, et al. The natural history of atrial fibrillation: incidence, risk factors, and prognosis in the Manitoba Follow-Up Study. Am J Med. 1995;98:476–84. de Bruijn RF, Heeringa J, Wolters FJ, et al. Association between atrial fibrillation and dementia in the general population. JAMA Neurol. 2015;72:1288–94. Miyasaka Y, Barnes ME, Petersen RC, et al. Risk of dementia in stroke-free patients diagnosed with atrial fibrillation: data from a community-based cohort. Eur Heart J. 2007;28:1962–7. Soliman EZ, Safford MM, Muntner P, et al. Atrial fibrillation and the risk of myocardial infarction. JAMA Intern Med. 2014;174:107–14. Soliman EZ, Lopez F, O’Neal WT, et al. Atrial fibrillation and risk of ST-segment-elevation versus non-ST-segment-elevation myocardial infarction: The Atherosclerosis Risk in Communities (ARIC) Study. Circulation. 2015;131:1843–50.PubMed Central PMCID: PMCPMC4447576. Benjamin EJ, Wolf PA, D’Agostino RB, et al. Impact of atrial fibrillation on the risk of death: the Framingham Heart Study. Circulation. 1998;98:946–52. Nieuwlaat R, Capucci A, Camm AJ, et al. Atrial fibrillation management: a prospective survey in ESC member countries: the Euro Heart Survey on Atrial Fibrillation. Eur Heart J. 2005;26:2422–34. Dorian P, Jung W, Newman D, et al. The impairment of health-related quality of life in patients with intermittent atrial fibrillation: implications for the assessment of investigational therapy. J Am Coll Cardiol. 2000;36:1303–9. Steinberg BA, Kim S, Fonarow GC, et al. Drivers of hospitalization for patients with atrial fibrillation: Results from the Outcomes Registry for Better Informed Treatment of Atrial Fibrillation (ORBIT-AF). Am Heart J. 2014;167:735–42 e2. Healey JS, Oldgren J, Ezekowitz M, et al. Occurrence of death and stroke in patients in 47 countries 1 year after presenting with atrial fibrillation: a cohort study. Lancet. 2016;388:1161–9. Stewart S, Murphy NF, Walker A, et al. Cost of an emerging epidemic: an economic analysis of atrial fibrillation in the UK. Heart. 2004;90:286–92. Kim MH, Johnston SS, Chu BC, et al. Estimation of total incremental health care costs in patients with atrial fibrillation in the United States. Circ Cardiovasc Qual Outcomes. 2011;4:313–20. Wolowacz SE, Samuel M, Brennan VK, et al. The cost of illness of atrial fibrillation: a systematic review of the recent literature. Europace. 2011;13:1375–85. European Heart Rhythm Association, European Association for Cardio-Thoracic Society, Camm AJ, Kirchhof P, Lip GY, et al. Guidelines for the management of atrial fibrillation: the Task Force for the Management of Atrial Fibrillation of the European Society of Cardiology (ESC). Eur Heart J. 2010;31:2369–429. Camm AJ, Lip GY, De Caterina R, et al. 2012 focused update of the ESC Guidelines for the management of atrial fibrillation: an update of the 2010 ESC Guidelines for the management of atrial fibrillation. Developed with the special contribution of the European Heart Rhythm Association. Eur Heart J. 2012;33:2719–47. January CT, Wann LS, Alpert JS, et al. 2014 AHA/ACC/HRS guideline for the management of patients with atrial fibrillation: a report of the American College of Cardiology/American Heart Association Task Force on practice guidelines and the Heart Rhythm Society. Circulation. 2014;130:e199–267. Kirchhof P, Benussi S, Kotecha D, et al. 2016 ESC Guidelines for the management of atrial fibrillation developed in collaboration with EACTS. Eur Heart J. 2016;37:2893–962. Rienstra M, Hobbelt AH, Alings M, et al. Targeted therapy of underlying conditions improves sinus rhythm maintenance in patients with persistent atrial fibrillation: results of the RACE 3 trial. Eur Heart J. 2018.epub ahead of press. Kerr CR, Humphries KH, Talajic M, et al. Progression to chronic atrial fibrillation after the initial diagnosis of paroxysmal atrial fibrillation: results from the Canadian Registry of Atrial Fibrillation. Am Heart J. 2005;149:489–96. Andrade J, Khairy P, Dobrev D, Nattel S. The clinical profile and pathophysiology of atrial fibrillation: relationships among clinical features, epidemiology, and mechanisms. Circ Res. 2014;114:1453–68. Schotten U, Verheule S, Kirchhof P, Goette A. Pathophysiological mechanisms of atrial fibrillation: a translational appraisal. Physiol Rev. 2011;91:265-325. Nattel S, Guasch E, Savelieva I, et al. Early management of atrial fibrillation to prevent cardiovascular complications. Eur Heart J. 2014;35:1448–56. de Vos CB, Pisters R, Nieuwlaat R, et al. Progression from paroxysmal to persistent atrial fibrillation clinical correlates and prognosis. J Am Coll Cardiol. 2010;55:725-31. De Vos CB, Breithardt G, Camm AJ, et al. Progression of atrial fibrillation in the REgistry on Cardiac rhythm disORDers assessing the control of Atrial Fibrillation cohort: clinical correlates and the effect of rhythm-control therapy. Am Heart J. 2012;163:887–93. Leyden JM, Kleinig TJ, Newbury J, et al. Adelaide stroke incidence study: declining stroke rates but many preventable cardioembolic strokes. Stroke. 2013;44:1226–31. Friberg L, Rosenqvist M, Lindgren A, et al. High prevalence of atrial fibrillation among patients with ischemic stroke. Stroke. 2014;45:2599–605. Yiin GS, Howard DP, Paul NL, et al. Recent time trends in incidence, outcome and premorbid treatment of atrial fibrillation-related stroke and other embolic vascular events: a population-based study. J Neurol Neurosurg Psychiatry. 2017;88:12–8. Jannou V, Timsit S, Nowak E, et al. Stroke with atrial fibrillation or atrial flutter: a descriptive population-based study from the Brest stroke registry. BMC Geriatr. 2015;15:63. Palm F, Kleemann T, Dos Santos M, et al. Stroke due to atrial fibrillation in a population-based stroke registry (Ludwigshafen Stroke Study) CHADS(2), CHA(2) DS(2) -VASc score, underuse of oral anticoagulation, and implications for preventive measures. Eur J Neurol. 2013;20:117–23. Hannon N, Sheehan O, Kelly L, et al. Stroke associated with atrial fibrillation--incidence and early outcomes in the north Dublin population stroke study. Cerebrovasc Dis. 2010;29:43–9. Bejot Y, Ben Salem D, Osseby GV, et al. Epidemiology of ischemic stroke from atrial fibrillation in Dijon, France, from 1985 to 2006. Neurology. 2009;72:346–53. Marini C, De Santis F, Sacco S, et al. Contribution of atrial fibrillation to incidence and outcome of ischemic stroke: results from a population-based study. Stroke. 2005;36:1115–9. Yiin GS, Howard DP, Paul NL, et al. Age-specific incidence, outcome, cost, and projected future burden of atrial fibrillation-related embolic vascular events: a population-based study. Circulation. 2014;130:1236–44. Gladstone DJ, Spring M, Dorian P, et al. Atrial fibrillation in patients with cryptogenic stroke. N Engl J Med. 2014;370:2467-77. Sanna T, Diener HC, Passman RS, et al. Cryptogenic stroke and underlying atrial fibrillation. N Engl J Med. 2014;370:2478–86. Kirchhof P, Lip GY, Van Gelder IC, et al. 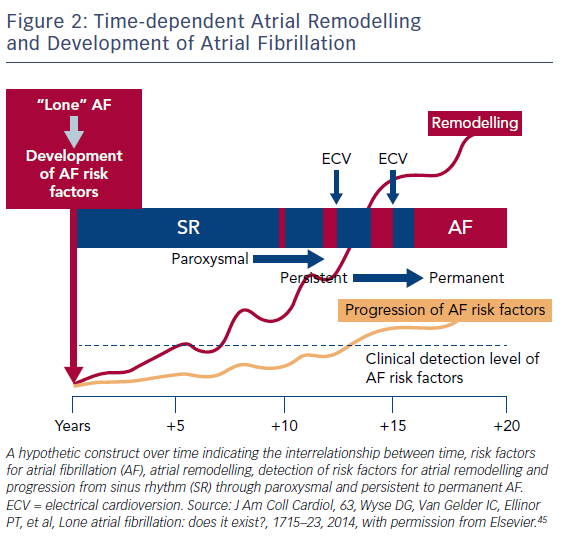 Comprehensive risk reduction in patients with atrial fibrillation: emerging diagnostic and therapeutic options--a report from the 3rd Atrial Fibrillation Competence NETwork/European Heart Rhythm Association consensus conference. Europace. 2012;14:8–27. Wyse DG, Van Gelder IC, Ellinor PT, et al. Lone atrial fibrillation: does it exist? J Am Coll Cardiol. 2014;63:1715–23. Vermond RA, Geelhoed B, Verweij N, et al. Incidence of Atrial Fibrillation and Relationship With Cardiovascular Events, Heart Failure, and Mortality: A Community-Based Study From the Netherlands. J Am Coll Cardiol. 2015;66:1000–7. Cosio FG, Aliot E, Botto GL, et al. Delayed rhythm control of atrial fibrillation may be a cause of failure to prevent recurrences: reasons for change to active antiarrhythmic treatment at the time of the first detected episode. Europace. 2008;10:21–7. Group SR, Wright JT, Jr., Williamson JD, et al. A randomized trial of intensive versus standard blood-pressure control. N Engl J Med. 2015;373:2103–16. Yusuf S, Lonn E, Pais P, et al. Blood-pressure and cholesterol lowering in persons without cardiovascular disease. N Engl J Med. 2016;374:2032-43. Santhanakrishnan R, Wang N, Larson MG, et al. Atrial fibrillation begets heart failure and vice versa: temporal associations and differences in preserved versus reduced ejection fraction. Circulation. 2016;133:484–92. Smit MD, Moes ML, Maass AH, et al. The importance of whether atrial fibrillation or heart failure develops first. Eur J Heart Fail. 2012;14:1030–40. Lau DH, Schotten U, Mahajan R, et al. Novel mechanisms in the pathogenesis of atrial fibrillation: practical applications. Eur Heart J. 2016;37:157381. Alings M, Smit MD, Moes ML, et al. Routine versus aggressive upstream rhythm control for prevention of early atrial fibrillation in heart failure: background, aims and design of the RACE 3 study. Neth Heart J. 2013;21:354–63. Huxley RR, Lopez FL, Folsom AR, et al. Absolute and attributable risks of atrial fibrillation in relation to optimal and borderline risk factors: the Atherosclerosis Risk in Communities (ARIC) study. Circulation. 2011;123:1501–8. Lau DH, Nattel S, Kalman JM, Sanders P. Modifiable risk factors and atrial fibrillation. Circulation. 2017;136:583–96. Manolis AJ, Rosei EA, Coca A, et al. Hypertension and atrial fibrillation: diagnostic approach, prevention and treatment. Position paper of the Working Group ‘Hypertension Arrhythmias and Thrombosis’ of the European Society of Hypertension. J Hypertens. 2012;30:239-52. Benjamin EJ, Levy D, Vaziri SM, et al. Independent risk factors for atrial fibrillation in a population-based cohort. The Framingham Heart Study. JAMA. 1994;271:840–4. Perez MV, Wang PJ, Larson JC, et al. Risk factors for atrial fibrillation and their population burden in postmenopausal women: the Women’s Health Initiative Observational Study. Heart. 2013;99:1173–8. Dahlof B, Devereux RB, Kjeldsen SE, et al. Cardiovascular morbidity and mortality in the Losartan Intervention For Endpoint reduction in hypertension study (LIFE): a randomised trial against atenolol. Lancet. 2002;359:995–1003. Wachtell K, Lehto M, Gerdts E, et al. Angiotensin II receptor blockade reduces new-onset atrial fibrillation and subsequent stroke compared to atenolol: the Losartan Intervention For End Point Reduction in Hypertension (LIFE) study. J Am Coll Cardiol. 2005;45:712–9. Marott SC, Nielsen SF, Benn M, Nordestgaard BG. Antihypertensive treatment and risk of atrial fibrillation: a nationwide study. Eur Heart J. 2014;35:1205–14. Pokushalov E, Romanov A, Katritsis DG, et al. Renal denervation for improving outcomes of catheter ablation in patients with atrial fibrillation and hypertension: early experience. Heart Rhythm. 2014;11:1131–8. Tsang TS, Gersh BJ, Appleton CP, et al. Left ventricular diastolic dysfunction as a predictor of the first diagnosed nonvalvular atrial fibrillation in 840 elderly men and women. J Am Coll Cardiol. 2002;40:1636–44. Marcus GM, Alonso A, Peralta CA, et al. European ancestry as a risk factor for atrial fibrillation in African Americans. Circulation. 2010;122:2009–15. Schnabel RB, Sullivan LM, Levy D, et al. Development of a risk score for atrial fibrillation (Framingham Heart Study): a community-based cohort study. Lancet. 2009;373:739–45. Chamberlain AM, Agarwal SK, Folsom AR, et al. A clinical risk score for atrial fibrillation in a biracial prospective cohort (from the Atherosclerosis Risk in Communities [ARIC] study). Am J Cardiol. 2011;107:85–91. Gammage MD, Parle JV, Holder RL, et al. Association between serum free thyroxine concentration and atrial fibrillation. Arch Intern Med. 2007;167:928-34. Maisel WH, Stevenson LW. Atrial fibrillation in heart failure: epidemiology, pathophysiology, and rationale for therapy. Am J Cardiol. 2003;91:2D–8D. Kotecha D, Lam CS, Van Veldhuisen DJ, et al. Heart failure with preserved ejection fraction and atrial fibrillation: vicious twins. J Am Coll Cardiol. 2016;68:2217–28. Verma A, Kalman JM, Callans DJ. Treatment of patients with atrial fibrillation and heart failure with reduced ejection fraction. Circulation. 2017;135:1547–63. Swedberg K, Zannad F, McMurray JJV, et al. Eplerenone and Atrial Fibrillation in Mild Systolic Heart Failure Results From the EMPHASIS-HF (Eplerenone in Mild Patients Hospitalization And SurvIval Study in Heart Failure) Study. J Am Coll Cardiol. 2012;59:1598–603. Weijs B, Pisters R, Haest RJ, et al. Patients originally diagnosed with idiopathic atrial fibrillation more often suffer from insidious coronary artery disease compared to healthy sinus rhythm controls. Heart Rhythm. 2012;9:1923-9. Goto S, Hatt DL, Rother J, et al. Prevalence, clinical profile, and cardiovascular outcomes of atrial fibrillation patients with atherothrombosis. Am Heart J. 2008;156:855–63. 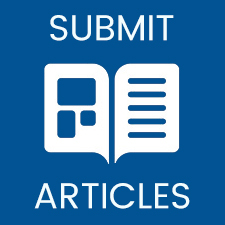 ; PubMed PMID: WOS:000260700100011. Spronk HMH, De Jong AM, Verheule S, et al. Hypercoagulability causes atrial fibrosis and promotes atrial fibrillation. Eurn Heart J. 2017;38:38-50. Karasoy D, Bo Jensen T, Hansen ML, et al. Obesity is a risk factor for atrial fibrillation among fertile young women: a nationwide cohort study. Europace. 2013;15:781–6. Wang TJ, Parise H, Levy D, et al. Obesity and the risk of new-onset atrial fibrillation. JAMA. 2004;292:2471–7. Frost L, Hune LJ, Vestergaard P. Overweight and obesity as risk factors for atrial fibrillation or flutter: the Danish Diet, Cancer, and Health Study. Am J Med. 2005;118:489–95. Dublin S, French B, Glazer NL, et al. Risk of new-onset atrial fibrillation in relation to body mass index. Arch Intern Med. 2006;166:2322–8. Smith JG, Platonov PG, Hedblad B, et al. Atrial fibrillation in the Malmo Diet and Cancer study: a study of occurrence, risk factors and diagnostic validity. Eur J Epidemiol. 2010;25:95–102. Tedrow UB, Conen D, Ridker PM, et al. The long- and short-term impact of elevated body mass index on the risk of new atrial fibrillation the WHS (women’s health study). J Am Coll Cardiol. 2010;55:2319–27. Long MJ, Jiang CQ, Lam TH, et al. Atrial fibrillation and obesity among older Chinese: the Guangzhou Biobank Cohort Study. Int J Cardiol. 2011;148:48–52. Frost L, Benjamin EJ, Fenger-Gron M, et al. Body fat, body fat distribution, lean body mass and atrial fibrillation and flutter. A Danish cohort study. Obesity (Silver Spring). 2014;22:1546–52. Wong CX, Sullivan T, Sun MT, et al. Obesity and the risk of incident, post-operative, and post-ablation atrial fibrillation – a meta-analysis of 626,603 individuals in 51 studies. J Am Coll Cardiol EP. 2015;1:139–52. Lassale C, Tzoulaki I, Moons KGM, et al. Separate and combined associations of obesity and metabolic health with coronary heart disease: a pan-European case-cohort analysis. Eur Heart J. 2018;39:397–406. Van Gelder IC, Hobbelt AH, Brugemann J, Rienstra M. Time to implement fitness and reduction of fatness in atrial fibrillation therapy. Europace. 2017;19:513-4. Huxley RR, Alonso A, Lopez FL, et al. Type 2 diabetes, glucose homeostasis and incident atrial fibrillation: the Atherosclerosis Risk in Communities study. Heart. 2012;98:133–8. Pallisgaard JL, Schjerning AM, Lindhardt TB, et al. Risk of atrial fibrillation in diabetes mellitus: A nationwide cohort study. Eur J Prev Cardiol. 2016;23:621–7. Dublin S, Glazer NL, Smith NL, et al. Diabetes mellitus, glycemic control, and risk of atrial fibrillation. J Gen Intern Med. 2010;25:853–8. Huxley RR, Filion KB, Konety S, Alonso A. Meta-analysis of cohort and case-control studies of type 2 diabetes mellitus and risk of atrial fibrillation. Am J Cardiol. 2011;108:56–62. Du X, Ninomiya T, de Galan B, et al. Risks of cardiovascular events and effects of routine blood pressure lowering among patients with type 2 diabetes and atrial fibrillation: results of the ADVANCE study. Eur Heart J. 2009;30:1128–35. Goudis CA, Korantzopoulos P, Ntalas IV, et al. Diabetes mellitus and atrial fibrillation: Pathophysiological mechanisms and potential upstream therapies. Int J Cardiol. 2015;184:617–22. Chang SH, Wu LS, Chiou MJ, et al. Association of metformin with lower atrial fibrillation risk among patients with type 2 diabetes mellitus: a population-based dynamic cohort and in vitro studies. Cardiovasc Diabetol. 2014;13:123. Piepoli MF, Hoes AW, Agewall S, et al. 2016 European Guidelines on cardiovascular disease prevention in clinical practice: The Sixth Joint Task Force of the European Society of Cardiology and Other Societies on Cardiovascular Disease Prevention in Clinical Practice (constituted by representatives of 10 societies and by invited experts) Developed with the special contribution of the European Association for Cardiovascular Prevention & Rehabilitation (EACPR). Eur Heart J. 2016;37:2315–81. Kodama S, Saito K, Tanaka S, et al. Cardiorespiratory fitness as a quantitative predictor of all-cause mortality and cardiovascular events in healthy men and women: a meta-analysis. JAMA. 2009;301:2024-35. Qureshi WT, Alirhayim Z, Blaha MJ, et al. Cardiorespiratory Fitness and Risk of Incident Atrial Fibrillation: Results From the Henry Ford Exercise Testing (FIT) Project. Circulation. 2015;131:1827–34. Drca N, Wolk A, Jensen-Urstad M, Larsson SC. Physical activity is associated with a reduced risk of atrial fibrillation in middle-aged and elderly women. Heart. 2015;101:1627–30. Mozaffarian D, Furberg CD, Psaty BM, Siscovick D. Physical activity and incidence of atrial fibrillation in older adults: the cardiovascular health study. Circulation. 2008;118:800–7. Khan H, Kella D, Rauramaa R, et al. Cardiorespiratory fitness and atrial fibrillation: A population-based follow-up study. Heart Rhythm. 2015;12:1424–30. Drca N, Wolk A, Jensen-Urstad M, Larsson SC. Atrial fibrillation is associated with different levels of physical activity levels at different ages in men. Heart. 2014;10:1037–42. Abdulla J, Nielsen JR. Is the risk of atrial fibrillation higher in athletes than in the general population? A systematic review and meta-analysis. Europace. 2009;11:1156–9. Elliott AD, Maatman B, Emery MS, Sanders P. The role of exercise in atrial fibrillation prevention and promotion: Finding optimal ranges for health. Heart Rhythm. 2017;1:1713–20. Alonso A, Lopez FL, Matsushita K, et al. Chronic kidney disease is associated with the incidence of atrial fibrillation: the Atherosclerosis Risk in Communities (ARIC) study. Circulation. 2011;123:2946–53. Marcos EG, Geelhoed B, Van Der Harst P, et al. Relation of renal dysfunction with incident atrial fibrillation and cardiovascular morbidity and mortality: The PREVEND study. Europace. 2017;19:1930–6. Baber U, Howard VJ, Halperin JL, et al. Association of chronic kidney disease with atrial fibrillation among adults in the United States: REasons for Geographic and Racial Differences in Stroke (REGARDS) Study. Circ Arrhythm Electrophysiol. 2011;4:26–32. Emdin CA, Anderson SG, Salimi-Khorshidi G, et al. Usual blood pressure, atrial fibrillation and vascular risk: evidence from 4.3 million adults. Int J Epidemiol. 2017;46:162–72. Odutayo A, Wong CX, Hsiao AJ, et al. Atrial fibrillation and risks of cardiovascular disease, renal disease, and death: systematic review and meta-analysis. BMJ. 2016;354:i4482. Lee M, Saver JL, Chang KH, et al. Low glomerular filtration rate and risk of stroke: meta-analysis. BMJ. 2010;341:c4249. Kottgen A, Russell SD, Loehr LR, et al. Reduced kidney function as a risk factor for incident heart failure: the atherosclerosis risk in communities (ARIC) study. J Am Soc Nephrol. 2007;18:1307–15. Piccini JP, Stevens SR, Chang Y, et al. Renal dysfunction as a predictor of stroke and systemic embolism in patients with nonvalvular atrial fibrillation: validation of the R(2)CHADS(2) index in the ROCKET AF (Rivaroxaban Once-daily, oral, direct factor Xa inhibition Compared with vitamin K antagonism for prevention of stroke and Embolism Trial in Atrial Fibrillation) and ATRIA (AnTicoagulation and Risk factors In Atrial fibrillation) study cohorts. Circulation. 2013;127:224–32. Lau YC, Proietti M, Guiducci E, et al. Atrial fibrillation and thromboembolism in patients with chronic kidney disease. J Am Coll Cardiol. 2016;68:1452–64. Epub 2016/09/24. Jha V, Garcia-Garcia G, Iseki K, et al. Chronic kidney disease: global dimension and perspectives. Lancet. 2013;382:260–72. Kloosterman M, Rienstra M, Crijns HJ, et al. The left atrium: An overlooked prognostic tool. Eur J Prev Cardiol. 2017;24:389–91. Goette A, Kalman JM, Aguinaga L, et al. EHRA/HRS/APHRS/SOLAECE expert consensus on atrial cardiomyopathies: definition, characterization, and clinical implication. Europace. 2016;18:1455–90. Hirsh BJ, Copeland-Halperin RS, Halperin JL. Fibrotic atrial cardiomyopathy, atrial fibrillation, and thromboembolism: mechanistic links and clinical inferences. J Am Coll Cardiol. 2015;65:2239–51. Kottkamp H. Human atrial fibrillation substrate: towards a specific fibrotic atrial cardiomyopathy. Eur Heart J. 2013;34:2731–8. Stehouwer CD, Smulders YM. Microalbuminuria and risk for cardiovascular disease: Analysis of potential mechanisms. J Am Soc Nephrol. 2006;17:2106–11. Somers VK, White DP, Amin R, et al. Sleep apnea and cardiovascular disease: an American Heart Association/american College Of Cardiology Foundation Scientific Statement from the American Heart Association Council for High Blood Pressure Research Professional Education Committee, Council on Clinical Cardiology, Stroke Council, and Council On Cardiovascular Nursing. In collaboration with the National Heart, Lung, and Blood Institute National Center on Sleep Disorders Research (National Institutes of Health). Circulation. 2008;118:1080–111. Peppard PE, Young T, Barnet JH, et al. Increased prevalence of sleep-disordered breathing in adults. Am J Epidemiol. 2013;177:1006–14. Gami AS, Pressman G, Caples SM, et al. Association of atrial fibrillation and obstructive sleep apnea. Circulation. 2004;110:364–7. Stevenson IH, Teichtahl H, Cunnington D, et al. Prevalence of sleep disordered breathing in paroxysmal and persistent atrial fibrillation patients with normal left ventricular function. Eur Heart J. 2008;29:1662–9. Epub 2008/06/03. Gami AS, Hodge DO, Herges RM, et al. Obstructive sleep apnea, obesity, and the risk of incident atrial fibrillation. J Am Coll Cardiol. 2007;49:565–71. Cadby G, McArdle N, Briffa T, et al. Severity of OSA is an independent predictor of incident atrial fibrillation hospitalization in a large sleep-clinic cohort. Chest. 2015;148:945–52. Fein AS, Shvilkin A, Shah D, et al. Treatment of obstructive sleep apnea reduces the risk of atrial fibrillation recurrence after catheter ablation. J Am Coll Cardiol. 2013;62:300-5. Marti-Soler H, Hirotsu C, Marques-Vidal P, et al. The NoSAS score for screening of sleep-disordered breathing: a derivation and validation study. Lancet Respir Med. 2016;4:742–8. Ettinger PO, Wu CF, De La Cruz C, Jr., et al. Arrhythmias and the “Holiday Heart”: alcohol-associated cardiac rhythm disorders. Am Heart J. 1978;95:555–62. Liang Y, Mente A, Yusuf S, et al. Alcohol consumption and the risk of incident atrial fibrillation among people with cardiovascular disease. CMAJ. 2012;184:E857–66. Djousse L, Levy D, Benjamin EJ, et al. Long-term alcohol consumption and the risk of atrial fibrillation in the Framingham Study. Am J Cardiol. 2004;93:710–3. Mukamal KJ, Tolstrup JS, Friberg J, et al. Alcohol consumption and risk of atrial fibrillation in men and women: the Copenhagen City Heart Study. Circulation. 2005;112:1736–42. Conen D, Tedrow UB, Cook NR, et al. Alcohol consumption and risk of incident atrial fibrillation in women. JAMA. 2008;300:2489–96. Larsson SC, Drca N, Wolk A. Alcohol consumption and risk of atrial fibrillation: a prospective study and dose-response meta-analysis. J Am Coll Cardiol. 2014;64:281–9. Kodama S, Saito K, Tanaka S, et al. Alcohol consumption and risk of atrial fibrillation: a meta-analysis. J Am Coll Cardiol. 2011;57:427–36. Heeringa J, Kors JA, Hofman A, et al. Cigarette smoking and risk of atrial fibrillation: the Rotterdam Study. Am Heart J. 2008;156:1163–9. Chamberlain AM, Agarwal SK, Folsom AR, et al. Smoking and incidence of atrial fibrillation: results from the Atherosclerosis Risk in Communities (ARIC) study. Heart Rhythm. 2011;8:1160–6. Friberg J, Buch P, Scharling H, et al. Rising rates of hospital admissions for atrial fibrillation. Epidemiology. 2003;14:666–72. Pfister R, Bragelmann J, Michels G, et al. Performance of the CHARGE-AF risk model for incident atrial fibrillation in the EPIC Norfolk cohort. Eur J Prev Cardiol. 2015;22:932–9. Kannel WB, Wolf PA, Benjamin EJ, Levy D. Prevalence, incidence, prognosis, and predisposing conditions for atrial fibrillation: population-based estimates. Am J Cardiol. 1998;82:2N–9N. Stewart S, Hart CL, Hole DJ, McMurray JJ. Population prevalence, incidence, and predictors of atrial fibrillation in the Renfrew/Paisley study. Heart. 2001;86:516-21. Psaty BM, Manolio TA, Kuller LH, et al. Incidence of and risk factors for atrial fibrillation in older adults. Circulation. 1997;96:2455–61. Knuiman M, Briffa T, Divitini M, et al. A cohort study examination of established and emerging risk factors for atrial fibrillation: the Busselton Health Study. Eur J Epidemiol. 2014;29:181–90. Lopez FL, Agarwal SK, Maclehose RF, et al. Blood lipid levels, lipid-lowering medications, and the incidence of atrial fibrillation: the atherosclerosis risk in communities study. Circ Arrhythm Electrophysiol. 2012;5:155–62. Mora S, Akinkuolie AO, Sandhu RK, et al. Paradoxical association of lipoprotein measures with incident atrial fibrillation. Circ Arrhythm Electrophysiol. 2014;7:612–9. Watanabe H, Tanabe N, Yagihara N, et al. Association between lipid profile and risk of atrial fibrillation. Circ J. 2011;75:2767–74. Alonso A, Yin X, Roetker NS, et al. Blood lipids and the incidence of atrial fibrillation: the Multi-Ethnic Study of Atherosclerosis and the Framingham Heart Study. J Am Heart Assoc. 2014;3:e001211. Haywood LJ, Ford CE, Crow RS, et al. Atrial fibrillation at baseline and during follow-up in ALLHAT (Antihypertensive and Lipid-Lowering Treatment to Prevent Heart Attack Trial). J Am Coll Cardiol. 2009;54:2023–31. Pol T, Held C, Westerbergh J, et al. Dyslipidemia and Risk of Cardiovascular Events in Patients With Atrial Fibrillation Treated With Oral Anticoagulation Therapy: Insights From the ARISTOTLE (Apixaban for Reduction in Stroke and Other Thromboembolic Events in Atrial Fibrillation) Trial. J Am Heart Assoc. 2018;7.; epub ahead of press. Savelieva I, Kakouros N, Kourliouros A, Camm AJ. Upstream therapies for management of atrial fibrillation: review of clinical evidence and implications for European Society of Cardiology guidelines. Part I: primary prevention. Europace. 2011;13:308–28. Zheng Z, Jayaram R, Jiang L, et al. Perioperative Rosuvastatin in Cardiac Surgery. N Engl J Med. 2016;374:1744–53. Camm AJ, Amarenco P, Haas S, et al. XANTUS: a real-world, prospective, observational study of patients treated with rivaroxaban for stroke prevention in atrial fibrillation. Eur Heart J. 2016;37:1145–53. Kirchhof P, Ammentorp B, Darius H, et al. Management of atrial fibrillation in seven European countries after the publication of the 2010 ESC Guidelines on atrial fibrillation: primary results of the PREvention oF thromboemolic events – European Registry in Atrial Fibrillation (PREFER in AF). Europace. 2014;16:6–14. Lip GY, Laroche C, Ioachim PM, et al. Prognosis and treatment of atrial fibrillation patients by European cardiologists: one year follow-up of the EURObservational Research Programme–Atrial Fibrillation General Registry Pilot Phase (EORP-AF Pilot registry). Eur Heart J. 2014;35:3365–76. Kirchhof P. The future of atrial fibrillation management: integrated care and stratified therapy. Lancet. 2017;390:1873–87. Ganesan AN, Shipp NJ, Brooks AG, et al. Long-term outcomes of catheter ablation of atrial fibrillation: a systematic review and meta-analysis. J Am Heart Assoc. 2013;2:e004549. Teh AW, Kistler PM, Lee G, et al. Long-term effects of catheter ablation for lone atrial fibrillation: progressive atrial electroanatomic substrate remodeling despite successful ablation. Heart Rhythm. 2012;9:473–80. Pavlovic D, Kirchhof P, Fabritz L. The RACE-3 is on: double-locking sinus rhythm by upstream and downstream therapy. Eur Heart J. 2018.epub ahead of press. Kirchhof P, Curtis AB, Skanes AC, et al. Atrial fibrillation guidelines across the Atlantic: a comparison of the current recommendations of the European Society of Cardiology/European Heart Rhythm Association/European Association of Cardiothoracic Surgeons, the American College of Cardiology Foundation/American Heart Association/Heart Rhythm Society, and the Canadian Cardiovascular Society. Eur Heart J. 2013;34:1471–4. Nattel S, Harada M. Atrial remodeling and atrial fibrillation: recent advances and translational perspectives. J Am Coll Cardiol. 2014;63:2335-45. Savelieva I, Kakouros N, Kourliouros A, Camm AJ. 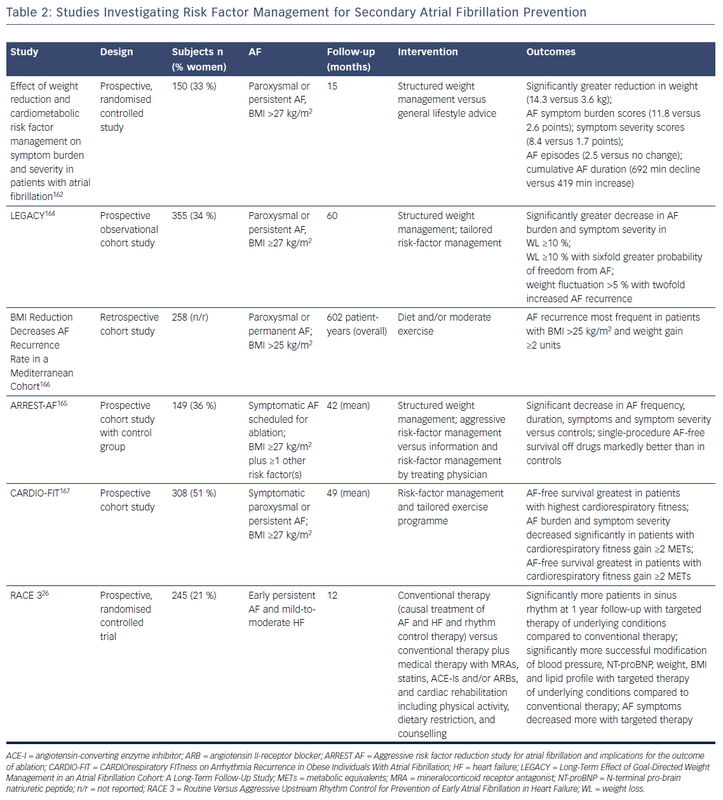 Upstream therapies for management of atrial fibrillation: review of clinical evidence and implications for European Society of Cardiology guidelines. Part II: secondary prevention. Europace. 2011;13:610–25. GISSI-AF Investigators, Disertori M, Latini R, Barlera S, et al. Valsartan for prevention of recurrent atrial fibrillation. N Engl J Med. 2009;360:1606–17. ACTIVE I Investigators, Yusuf S, Healey JS, Pogue J, Chrolavicius S, Flather M, et al. Irbesartan in patients with atrial fibrillation. N Engl J Med. 2011;364:928–38. Goette A, Schon N, Kirchhof P, et al. Angiotensin II-antagonist in paroxysmal atrial fibrillation (ANTIPAF) trial. Circ Arrhythm Electrophysiol. 2012;5:43–51. Almroth H, Hoglund N, Boman K, et al. Atorvastatin and persistent atrial fibrillation following cardioversion: a randomized placebo-controlled multicentre study. Eur Heart J. 2009;30:827–33. Abed HS, Wittert GA, Leong DP, et al. Effect of weight reduction and cardiometabolic risk factor management on symptom burden and severity in patients with atrial fibrillation: a randomized clinical trial. JAMA. 2013;310:2050–60. Abed HS, Nelson AJ, Richardson JD, et al. Impact of weight reduction on pericardial adipose tissue and cardiac structure in patients with atrial fibrillation. Am Heart J. 2015;169:655–62 e2. Pathak RK, Middeldorp ME, Meredith M, et al. Long-Term Effect of Goal-Directed Weight Management in an Atrial Fibrillation Cohort: A Long-Term Follow-Up Study (LEGACY). J Am Coll Cardiol. 2015;65:2159–69. Pathak RK, Middeldorp ME, Lau DH, et al. Aggressive risk factor reduction study for atrial fibrillation and implications for the outcome of ablation: the ARREST-AF cohort study. J Am Coll Cardiol. 2014;64:2222–31. Fioravanti F, Brisinda D, Sorbo AR, Fenici R. BMI reduction decreases AF recurrence rate in a Mediterranean cohort. J Am Coll Cardiol. 2015;66:2264–5. Pathak RK, Elliott A, Middeldorp ME, et al. Impact of CARDIOrespiratory FITness on Arrhythmia Recurrence in Obese Individuals With Atrial Fibrillation: The CARDIO-FIT Study. J Am Coll Cardiol. 2015;66:985–96. Berti D, Hendriks JM, Brandes A, et al. A proposal for interdisciplinary, nurse-coordinated atrial fibrillation expert programmes as a way to structure daily practice. Eur Heart J. 2013;34:2725–30. Hendriks JM, de Wit R, Crijns HJ, et al. Nurse-led care vs. usual care for patients with atrial fibrillation: results of a randomized trial of integrated chronic care vs. routine clinical care in ambulatory patients with atrial fibrillation. Eur Heart J. 2012;33:2692–9. Stewart S, Ball J, Horowitz JD, et al. Standard versus atrial fibrillation-specific management strategy (SAFETY) to reduce recurrent admission and prolong survival: pragmatic, multicentre, randomised controlled trial. Lancet. 2015;385:775–84. Carter L, Gardner M, Magee K, et al. An integrated management approach to atrial fibrillation. J Am Heart Assoc. 2016;5: pii: e002950. Kirchhof P, Breithardt G, Camm AJ, et al. Improving outcomes in patients with atrial fibrillation: rationale and design of the Early treatment of Atrial fibrillation for Stroke prevention Trial. Am Heart J. 2013;166:442–8. Whelton PK, Carey RM, Aronow WS, et al. 2017 ACC/AHA/AAPA/ABC/ACPM/AGS/APhA/ASH/ASPC/NMA/PCNA Guideline for the Prevention, Detection, Evaluation, and Management of High Blood Pressure in Adults: A Report of the American College of Cardiology/American Heart Association Task Force on Clinical Practice Guidelines. J Am Coll Cardiol. 2017: pii: S0735-1097(17)41518-X. Jensen MD, Ryan DH, Apovian CM, et al. 2013 AHA/ACC/TOS guideline for the management of overweight and obesity in adults: a report of the American College of Cardiology/American Heart Association Task Force on Practice Guidelines and The Obesity Society. J Am Coll Cardiol. 2014;63:2985–3023. Stone NJ, Robinson JG, Lichtenstein AH, et al. 2013 ACC/AHA guideline on the treatment of blood cholesterol to reduce atherosclerotic cardiovascular risk in adults: a report of the American College of Cardiology/American Heart Association Task Force on Practice Guidelines. J Am Coll Cardiol. 2014;6:2889–934. Smith SC, Jr., Benjamin EJ, Bonow RO, et al. AHA/ACCF secondary prevention and risk reduction therapy for patients with coronary and other atherosclerotic vascular disease: 2011 update: a guideline from the American Heart Association and American College of Cardiology Foundation endorsed by the World Heart Federation and the Preventive Cardiovascular Nurses Association. J Am Coll Cardiol. 2011;58:2432–46.